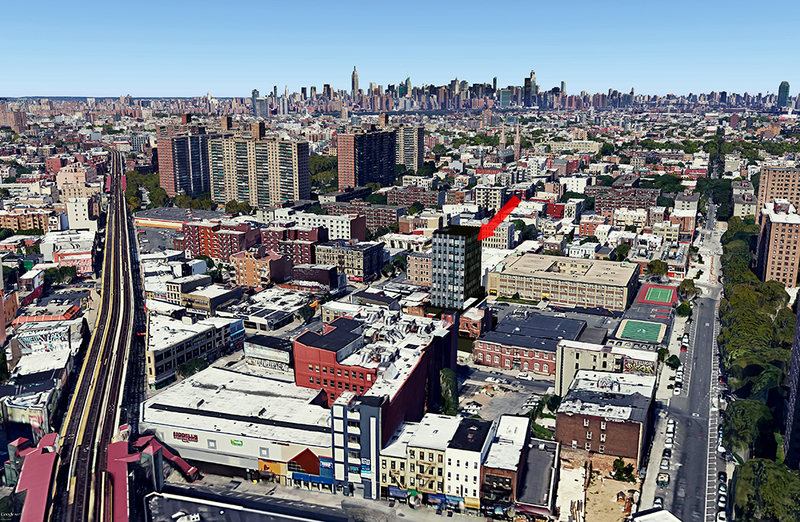 Here’s our first unfortunate look at a 12-story residential building slated to rise within a rapidly gentrifying corner of East Williamsburg. The block-through parcel at 46 Cook Street, between Graham and Humboldt Streets, will give way to a 34,000-square-foot mixed-use development designed by Karl Fischer Architect and Brooklyn-based developer Joel Braver, under the LLC Cook Properties. The project replaces a one-story brick warehouse building and is located just two blocks from the Flushing Avenue J/M subway station. 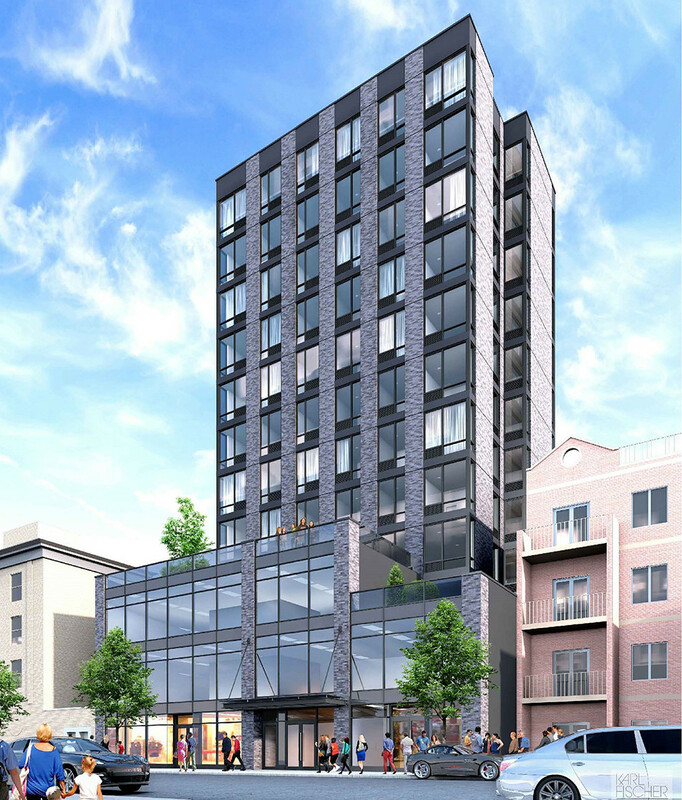 According to Department of Buildings filings, the mid-rise will contain 45 units (most likely rentals) above a base containing 14,000 square feet of commercial space and a diagnostic ambulatory treatment center. Amenities will include on-site parking for 107 vehicles, bike parking, and a fourth-floor residents’ terrace. The developer also recently scooped up a Hudson Square site once planned to be developed into an eleven story hotel by Italian soccer stars Paolo Maldini and Christian Vieri. Follow updates on 46 Cook Street at CityRealty.